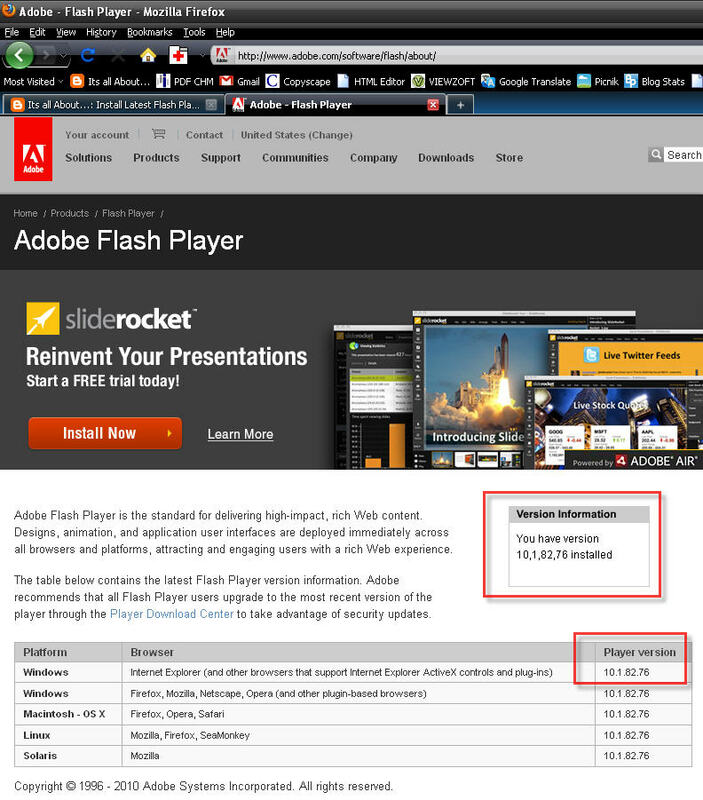 Adobe's latest flash player that is version 10.1.82.76 is available for download. But it cannot be installed without admin credentials. Follow this post and install latest flash player on your machine, and that too without admin rights. 1. Download the FlashPlayer Plugin 10.1.82.76(Firefox) setup file. 3. Double click on file you just downloaded (FlashPlayer Plugin 10.1.82.76(Firefox)) to install flash player. 4. 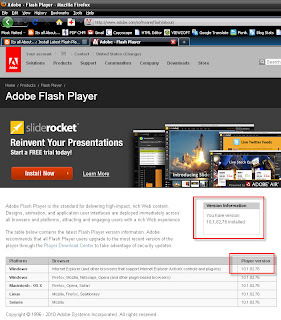 Visit http://www.adobe.com/software/flash/about/ to check the version number. Leave comments if this does not work for you. In case if this work (which I bet that it will) leave comments so that other users who come here for looking a solution get to know that this one works.